You are here: Home / Buying and Selling Properties / All Damages Are The Consequence Of Something. So, What’s This Subset Called “Consequential Damages”? All Damages Are The Consequence Of Something. So, What’s This Subset Called “Consequential Damages”? Neither party will be liable to the other for any indirect, special, consequential, incidental or punitive damage with respect to any claim arising out of this agreement (including without limitation its own performance or own breach of this agreement) for any reason. There are two reasons for that. First, “punitive damages” are pretty easy to identify; a jury or judge-made verdict will state the amount of punitive damages and that’s how you will know that they are “punitive damages.” Second, there may have been a legitimate distinction in some people’s minds (and there may still be such a distinction in their minds today), but “indirect,” “special,” and “incidental” damages are all really “consequential damages.” Damages either arise directly from the situation at hand or are an indirect “consequence” of the situation. Ruminations accuses document writers of being afraid of omitting something and also afraid not to parrot what others write, so they just add more and more words, even when not needed. And, yes, we, ourselves, still string all of the various synonyms for “consequential damages” into our provisions. Maybe, after we reflect on today’s posting, we’ll cease doing so. All law students and those who survived the experience are exposed to the seminal case dealing with the distinction between direct and indirect damages – Hadley v Baxendale, an 1854, two pages and a little more court opinion that can be seen by clicking: HERE. In that case, a miller (of grain) couldn’t mill his grain because an important crankshaft broke. 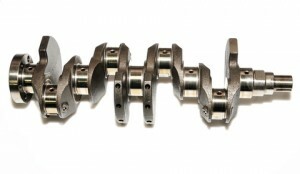 So, he delivered the broken crankshaft to a reputable carrier who was to transport it to a maker of new crankshafts where it would be used as a pattern for the replacement. The carrier was told that the mill was down and the crankshaft was needed to be able to resume milling grain. The carrier responded that if it got the broken one by noon, it would be at its destination the next day. Direct damages flow directly and immediately from the breach of an agreement. They are only what a breaching party would ordinarily and reasonably think would happen if it breached the agreement based on what it actually knew would happen to the damaged party and based on what the damaged party told it would happen if there were a breach. In the case of Hadley v. Baxendale, the question was whether the miller told the carrier that it had no way of operating the mill until the crankshaft was replaced and told the carrier about how much lost profit would be incurred for each day of delay. Think about it, is it reasonable for a carrier to be responsible for lost profit if it doesn’t know that the miller didn’t have another crankshaft or couldn’t “jury-rig” its mill to run? [Notice, we didn’t write, “rig the jury.”] Also, shouldn’t the carrier have a reasonable idea of whether the lost profit would be a dollar a day or a million dollars a day? Since this is a blog and not a political speech, we can make up a story about the miller and its crankshaft. Suppose all that took place was what we already wrote: the miller asked the carrier about the delivery time and was told, “Bring it to me before noon and I’ll get it to its destination tomorrow.” If “that’s all she wrote,” the carrier owes nothing to the miller for late delivery, even if caused by the carrier’s negligence. If it lost the crankshaft, it would owe for a lost crankshaft, because it took responsibility for it, but not for the miller’s lost profits. That’s because it isn’t reasonable to charge the carrier with knowing that the ability of the mill to operate depended on getting the crankshaft to the crankshaft maker. And, it isn’t reasonable for the carrier to take on an unknown liability without accepting that liability (and perhaps charging accordingly). In our made-up scenario, the miller’s lost profits were “indirect” to the carrier’s obligation to get the crankshaft to its destination. Take care to absorb that we said the miller’s damages were “indirect” because to say they were “consequential” or as a consequence of the carrier’s failure would be confusing. The confusion comes not from how we are explaining it, but because the word “consequential” to describe a certain category of damages is unfortunate. It is confusing. It doesn’t seem to mean “not directly” related to what caused the damages. But, we are stuck with a legal term, “consequential,” that doesn’t have an intuitive meaning and, worse, might have a counterintuitive meaning. By this time, readers might have the impression that “lost profits” are always in the category of “consequential damages.” Unfortunately, for those who like certainty, that’s just not the case. Damages must be evaluated within the context of the agreement. When an agreement bars collection of consequential damages, lost profits (as with any other source of a parties losses) can still be collected if they “are the natural and probable consequence of the breach” of the agreement. The distinction between general and special contract damages is well defined, but its application to specific contracts and controversies is usually more elusive … . Lost profits may be either general or consequential damages, depending on whether the non-breaching party bargained for such profits and they are the direct and immediate fruits of the contract … . Otherwise, where the damages reflect a loss of profits on collateral business arrangements, they are only recoverable when (1) it is demonstrated with certainty that the damages have been caused by the breach, (2) the extent of the loss is capable of proof with reasonable certainty, and (3) it is established that the damages were fairly within the contemplation of the parties … . Frankly, we don’t know what to make with today’s thoughts. When one party or the other proposes that the agreement include a bar to recovery of consequential damages, and it is agreed to do so, the formulation at the very beginning of today’s blog posting is the most common result. Rarely do the negotiating parties ever discuss what the limitations mean in the context of the actual lease or other agreement. Our limited experience, however, is that whenever there is a discussion, usually over the attempted inclusion of a bar against “direct” damages, it is clear that very few of us understand what we are asking for. Yes, we’ve re-read that last sentence and remain willing to state it. Ruminations has no suggestions as to a provision that is clearer and better tailored in a way that would allow an injured party to recover what is fair, and not more, from a defaulting party. We think it would include a direct mention of “lost profits,” but our thinking hasn’t gotten much further than that. Can any reader help the rest of us? If so, please add your comment below. [This isn’t the first time we’ve ventured down this “remedies” road. If you weren’t reading Ruminations in 2012, or if you want to refresh your memory, here are links to a a two-part posting about “remedies,” and that includes the various categories of “damages.” Those links are here: ONE and TWO. An informative and amusing blog post – as always. Thank you.